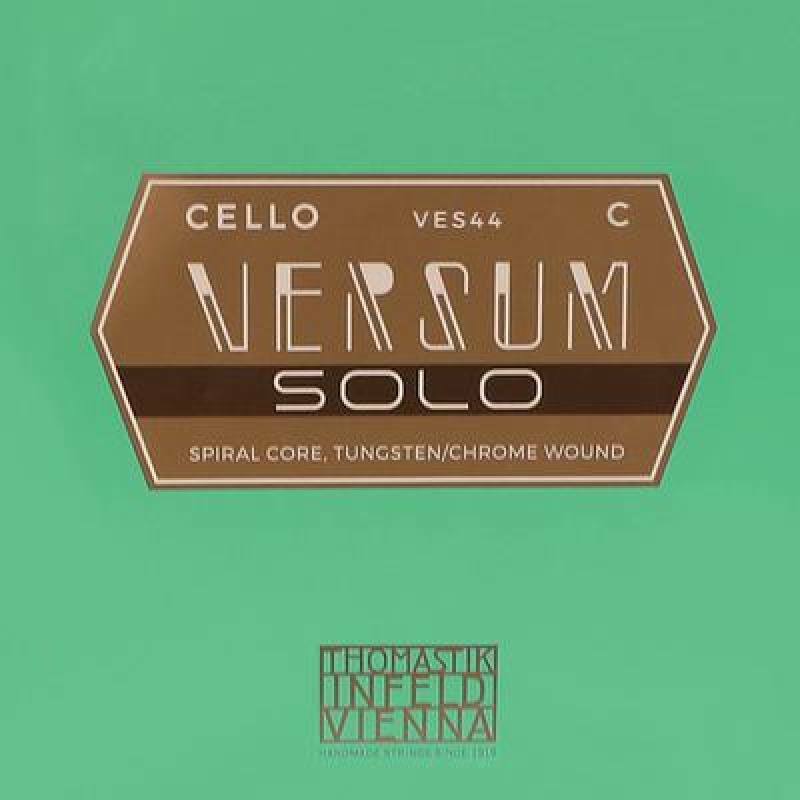 cello string C-4 4/4, medium, spiral core, tungsten/ chrome The VERSUM SOLO edition offers unprecedented possibilities of combining color, sound and texture. These strings were designed for profound power, ideal response and optimal projection - and they deliver! With effortless virtuosity they are poised to enhance the performances of even the most discerning players and cut through any acoustical situation. The sound effect of the bow response can also be fully customized: whether soft, hard or sharp, from Baroque to modern, VERSUM SOLO G- and C-strings offer the highest level of possible tones and variations. 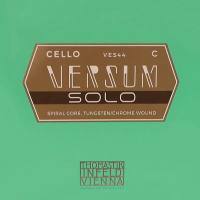 Combined with VERSUM SOLO A- and D-strings, the descant strings sound even livelier and more dynamic. At the same time, they support an exquisite sound with vocal quality.